The Kansas City Chiefs have been hit by the NFL with a raft of penalties for illegally tampering with Jeremy Maclin during 2015's “legal tampering” period, and, frankly, it’s pretty insane. The penalties are harsher than any previously imposed, and the violation was one that undoubtedly happens dozens of times each year. No wonder the Chiefs are so pissed. Pending an appeal, Kansas City will forfeit its 2016 third-round draft pick and 2017 sixth-round draft pick. 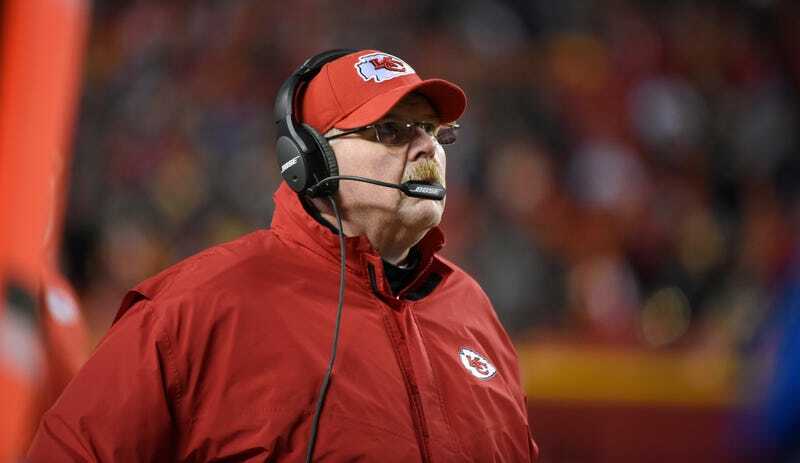 The team was fined $250,000, head coach Andy Reid $75,000, and GM John Dorsey $25,000. Their crime? Team employees had direct contact with then pending free agent Jeremy Maclin, during a two-day window in which only contact with agents is supposed to be allowed. Judging from the two individuals fined, you can probably guess who the two Chiefs employees were—Reid, after all, was Maclin’s former coach in Philadelphia before luring the wideout to KC with a five-year deal last offseason. It’s absurd, of course. The relatively new “legal tampering” period was the league’s attempt to legitimize things that were obviously happening anyway—with a month between the end of the season and the start of free agency, no one, teams, agents or players, was waiting to start negotiating. But the window has its own rules, all commonly broken. No direct contact with players? Think about all the instances you’ve read in the past three days of players making visits to prospective teams. Tampering! No agreements in principle on contracts? Think of all the free agent signings that were reported before they could be made official yesterday. Tampering! What on earth could the Chiefs have done to get busted where literally every other team skates? And even worse, comments by NFL VP of football operations Troy Vincent indicated that the penalties would have been even harsher if not for the Chiefs’ cooperation with the investigation and this being a first offense. Kansas City is being made an example of, and owner Clark Hunt would like to know why. The Chiefs will appeal, and Roger Goodell faces the prospect of a second consecutive offseason fighting one of his most loyal owners.